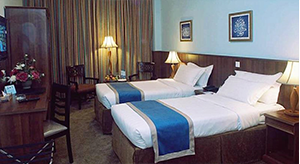 Royal Dyar features classic guest rooms with chic carpeted floors, air conditioning and a flat-screen TV. 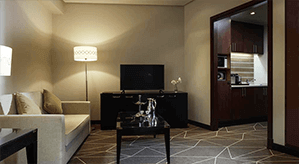 The on-site restaurant offers views of the Holy Mosque.sWith free Wi-Fi access, the spacious rooms at The Royal Dyar come with a minibar and direct telephone. Each room has an en-suite bathroom with a hairdryer and selected shower products. 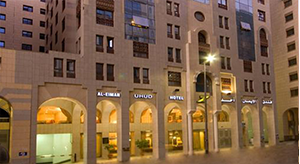 A gorgeous and dazzling hotel l with comfortable luxurious rooms that are quite close to the Haram. 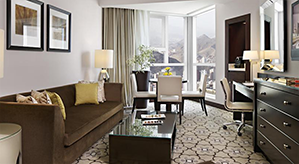 The hotel is located at around 480m from Haram where guests can avail a broad range of facilities includes restaurants, 24-Hour Front Desk, Non-Smoking Rooms, Rooms/Facilities for Disabled Guests. 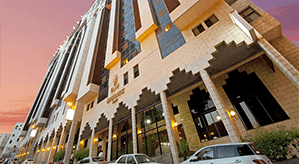 The enchanting Elaf Al Nakheel hotel is the one of the most preferable place for guests for their accommodation. Voyagers can avail superior quality services along with a broad array of amenities at unbeatable prices to spend their vacations with full comfort. 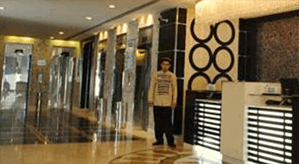 The hotel offers plenty of amenities which include air conditioning decorated rooms..
Now you can perform your sacred journey of Umrah by availing the cheap December Umrah packages that provide you a better deal for a comfortable blessed journey at cheap and economical budget. Our foremost services of cheap Umrah December 2019 packages are available for the pilgrims across the world. 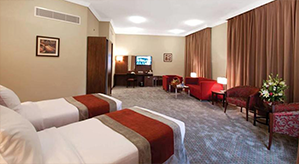 With incomparable services we provide hotel accommodations in mesmerizing places for the expedition of their holidays. Our main objective is to serve the pilgrims with back up flight deals that endows with all sorts of comfort and luxurious facilities for making their Holy journey a worth memorable trip. The virtuous pilgrims from all across the world look for the cheaper and affordable reservations for flights from the trustworthy source for performing their religious obligation. We provide services according to our client’s needs and demands. Our services are comprised of air ticket, visa, and hotel accommodations with personage budget for making this sacred journey and holy tour a relieving and spiritual endowment.